together with minimal vertical "rocking" of the crosshead under all loading conditions. pulse width modulated system to achieve a wide speed range over the full load range. Load cells are easily changed for light duty testing. Electronics in the load cell connectors retain the Load Cell information (size, calibration points & serial number) along with history of overloads. To change, turn off power to the machine. Next, simply disconnect the Load Cell's electircal connectcion and loosen a single bolt to remove. Install another load cell in it's place (electrical connector and bolt connection is the same for all load cells). 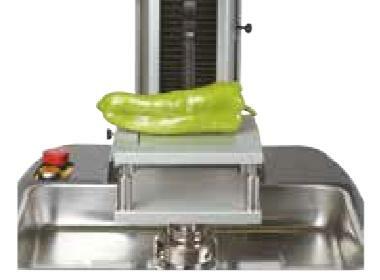 Load cells for lower range testing are recommended according to need. The following table shows available load cell sizes for the LS series machines. Note, we recommend keeping back up load cells in case one is accidently damaged or overloaded. *Extended models (for more travel)... The LS2.5 is already a long travel machine and has no extended version. Lower Frame is made custom for desired sample size. Test Machine is placed on Lower Frame. Machine drives "POGO Rod" through base of machine to test sample inside lower frame. Examples for use: Box, Mattress or other Large Sample Testing. Important notes on POGO configured machines: The LD and LS Series machines can be configured for POGO testing. Please indicate when ordering if a POGO conversion is required and we will be happy to help with application. We sell lower frames with Powder Coating or Paint. The machine is bolted to the lower frame. 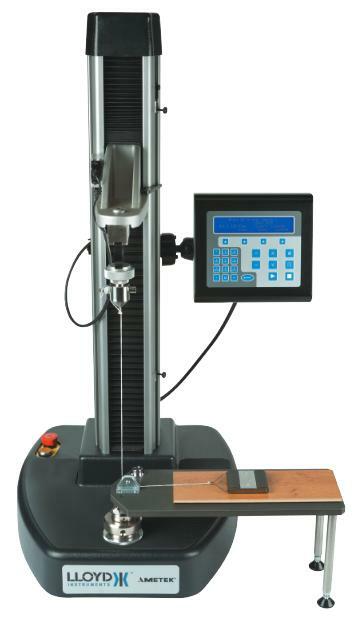 POGO conversions can be for Tension or Compression testing. We also make Splinter & Safety Sheilds with electronic interface. 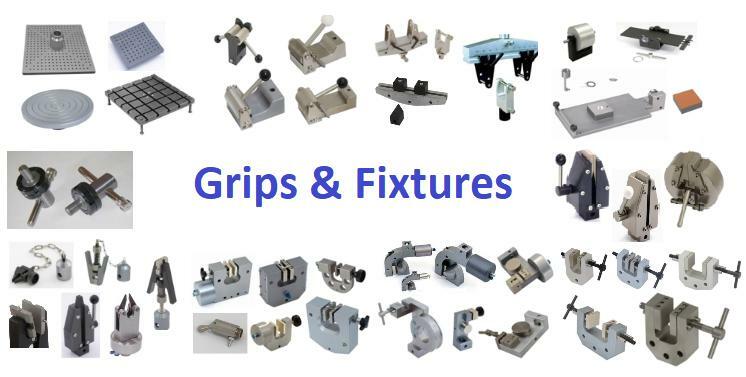 Click here for Grips & Accessories. Coefficient of Friction, static and kinetic, is used in a variety of materials from lubricants, to films to household items (ceramic tiles) to determine the frictional characteristics of a material. 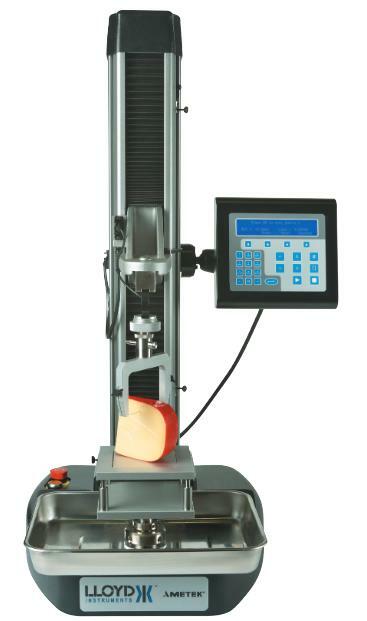 The FT1 is a bench mounted, single lead screw dedicated friction tester. 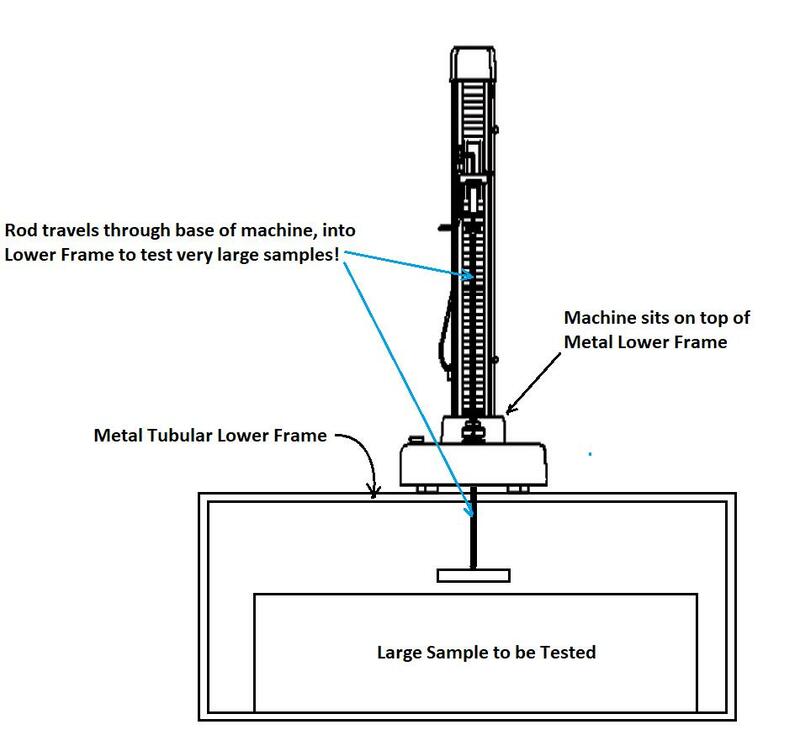 A friction table is mounted directly on the machine, with a full set of accessories included to perform tests conforming to the requirements of ASTM D1894, ISO 8295 and TAPPI T549. The tester includes these standards as user configurable tests, with a further seven available for user custom configuration. User configurable test screens allow for final movement limits, calculation limits (relative and absolute), sled weights and dimensions. 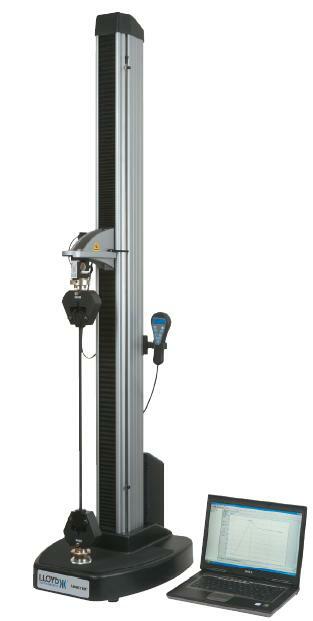 Note: This system provides Static and Kinetic Coefficients even when used in stand-alone mode (without a computer). 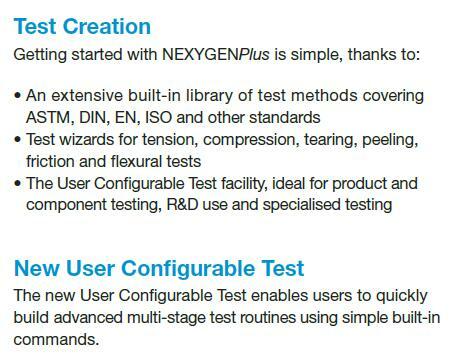 However, adding Nexygen Plus software greatly expands test capability. Add Nexygen Software for networking, advanced automation and much more. Contact Us for expert application assistance. The TA1 texture analyzer is an easy-to-use, cost-effective solution to evaluate the textural properties of a wide range of products. Standard accessories include a Base Table, 12.5mm Cylinder Probe and Splash Pan. 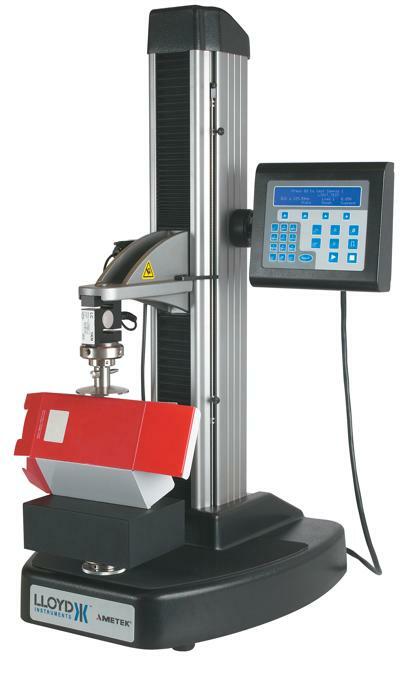 This machine has built in test software for up to 10 tests. 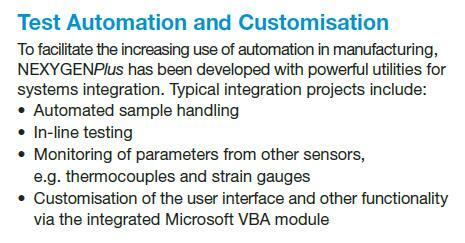 However, software is available for greater test capability, networking and many automation features. Ask us about video capture, custom VBA forms, and advanced automation capabillities when using Nexygen Software with this system.